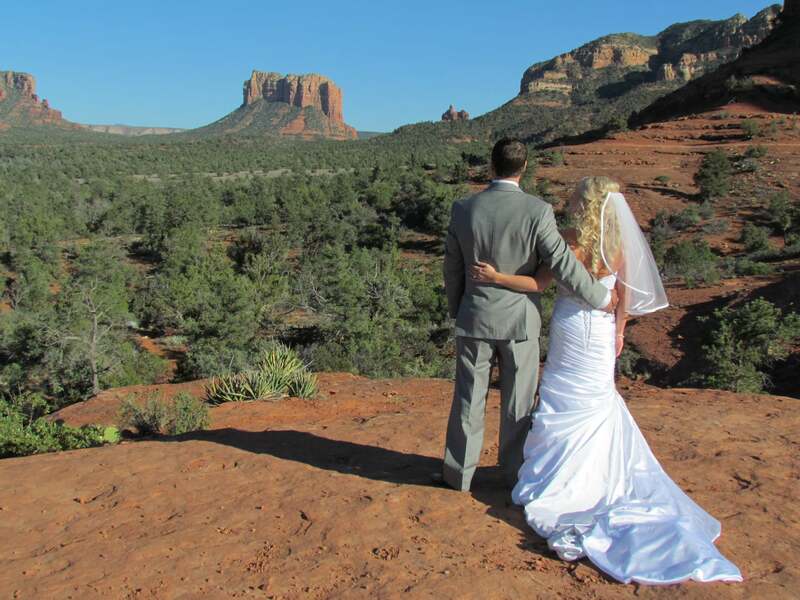 Back o’ Beyond is a fabulous spot for a wedding and one of our most popular venues. 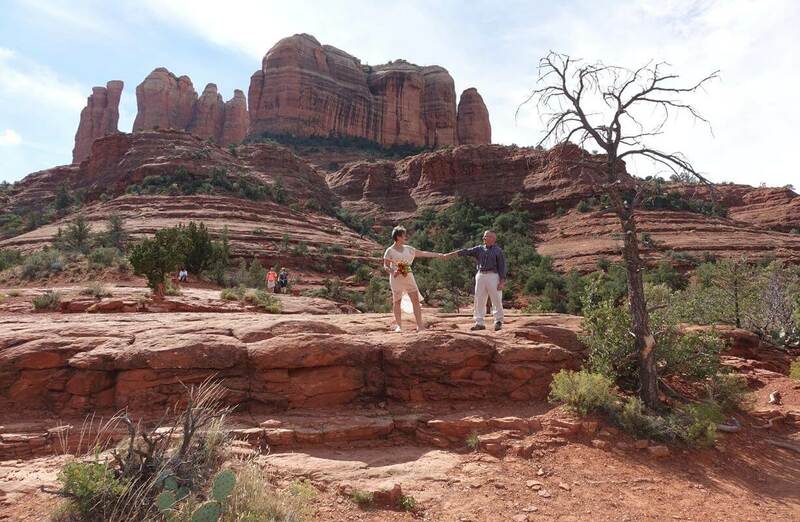 You are right on a platform on the side of Cathedral; Cathedral’s great spires rise behind you. 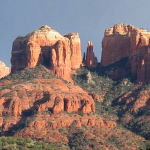 There are breathtaking vistas of Bell Rock, Courthouse and Twin Buttes. 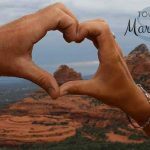 This is another magnetic vortex–I call this the “Womb with a View.” Very nurturing, calming and loving energy. 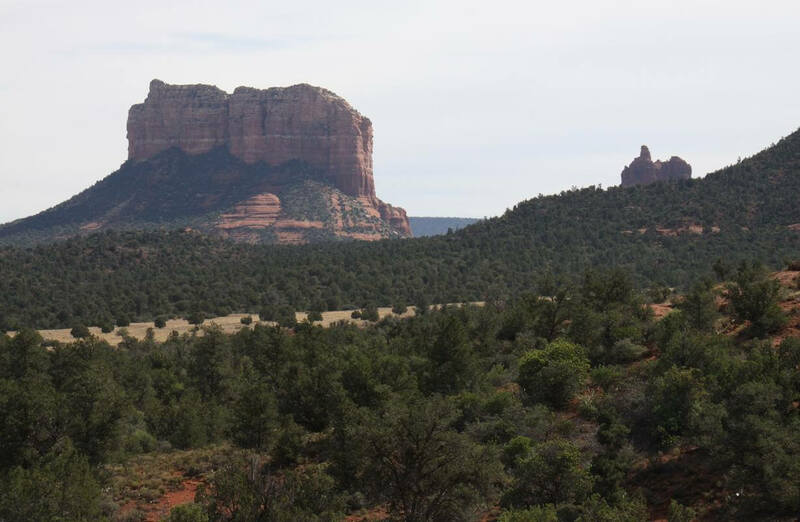 Back o’ Beyond is approached with a 7-minute moderate climb. 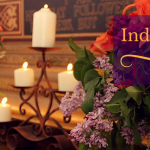 Not good for Grandma, but great for small parties and elopements. 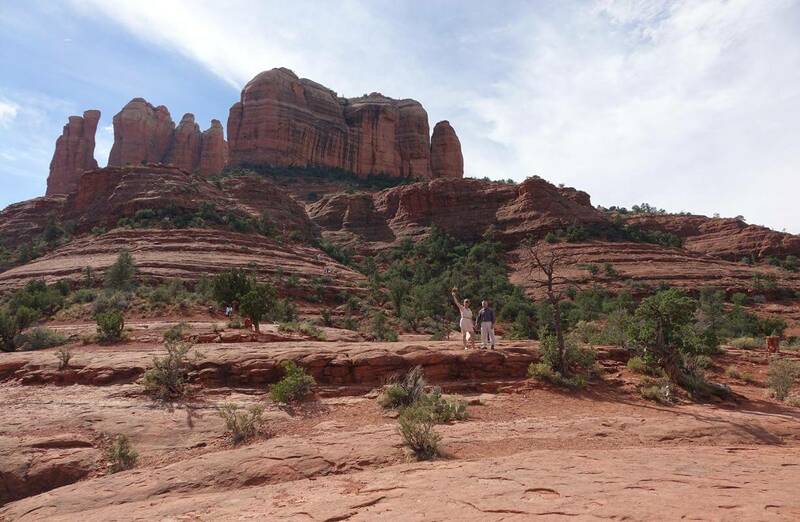 The trees here grow up in spirals in response to the energy. 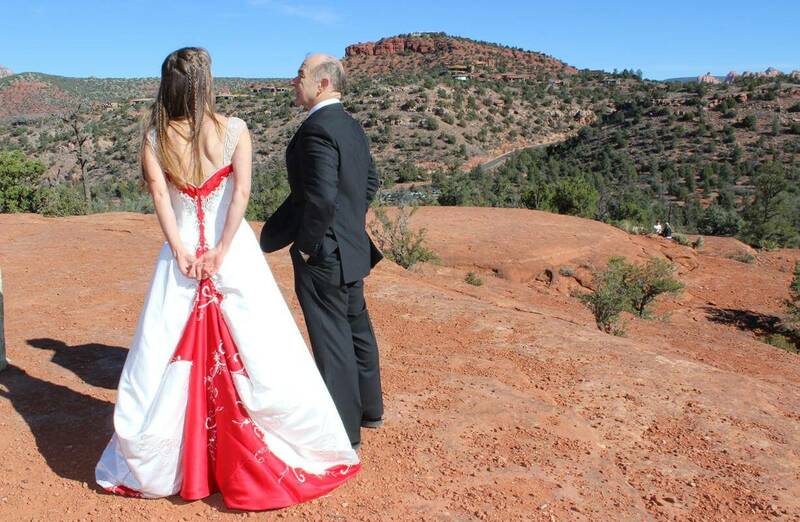 This is a breathtaking and romantic venue–and definitely unforgettable. 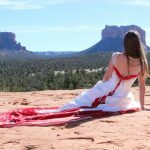 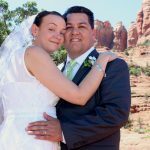 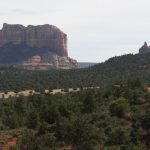 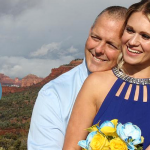 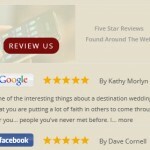 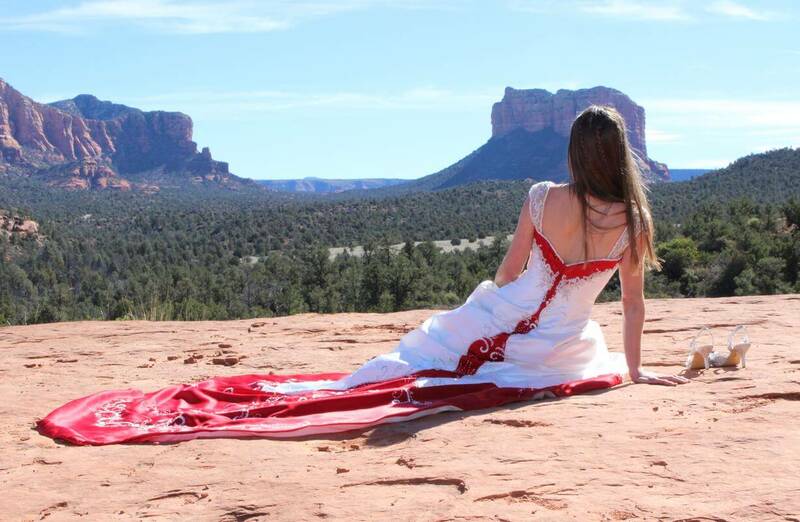 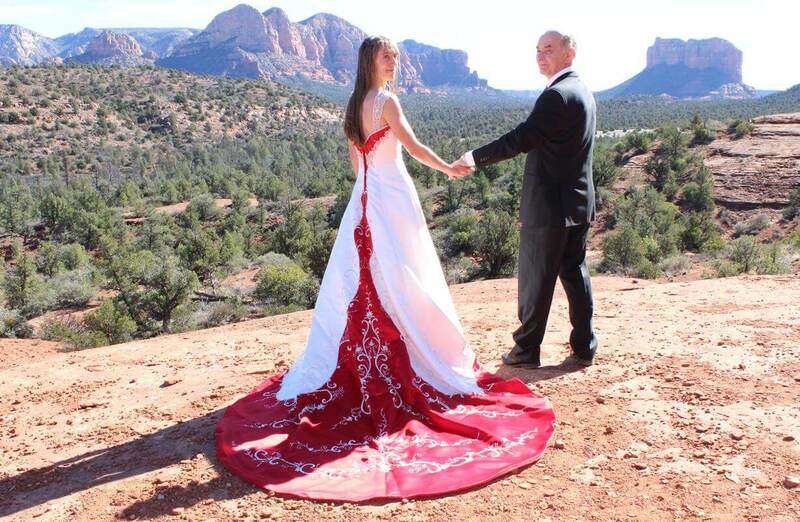 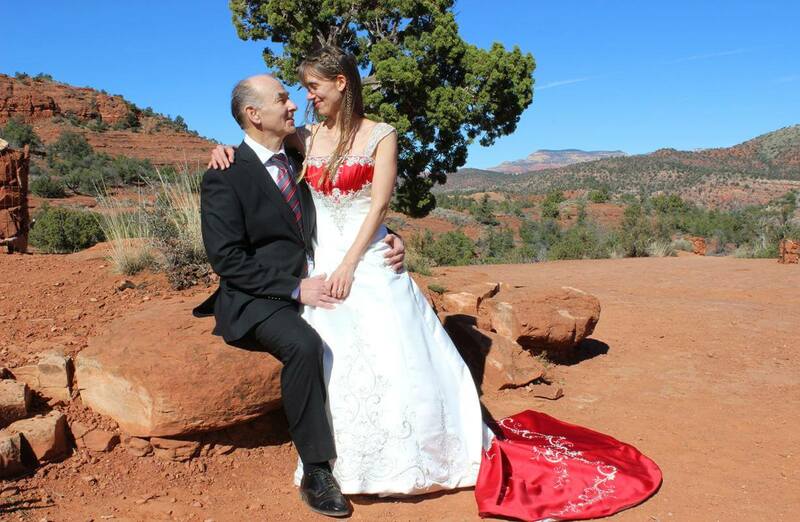 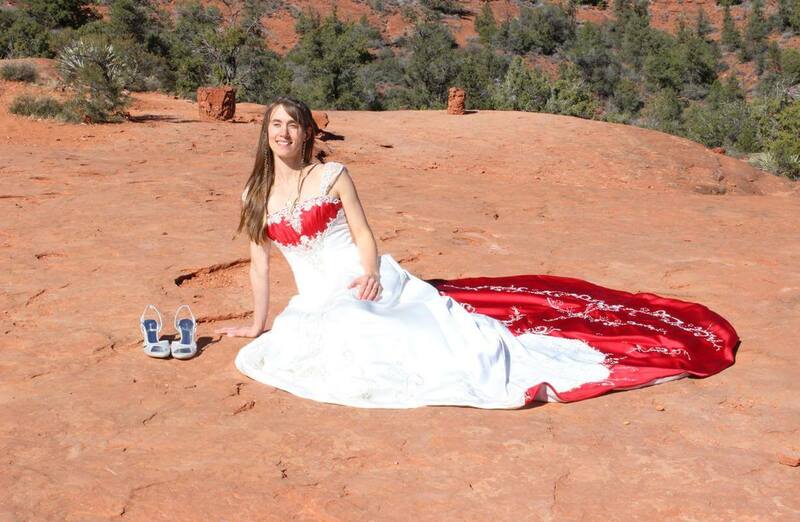 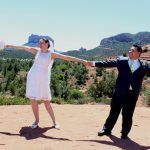 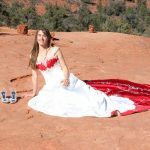 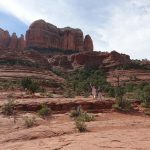 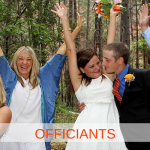 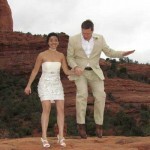 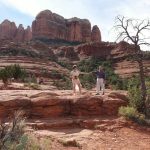 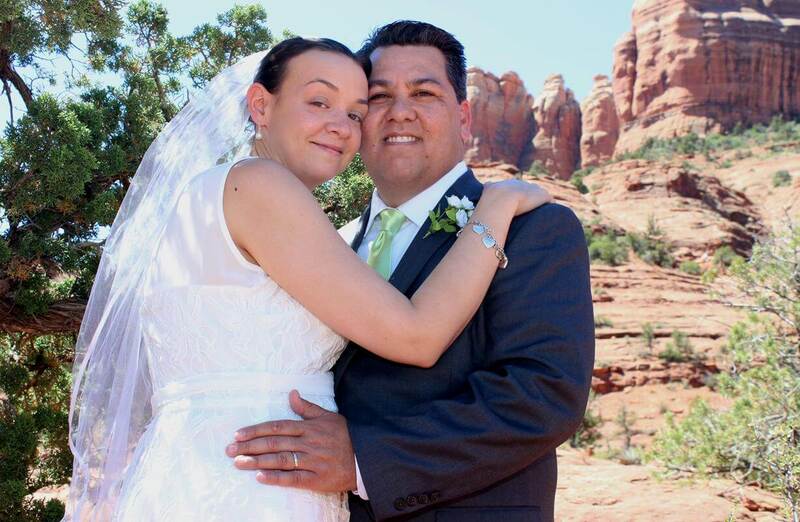 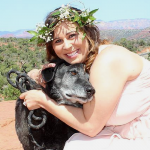 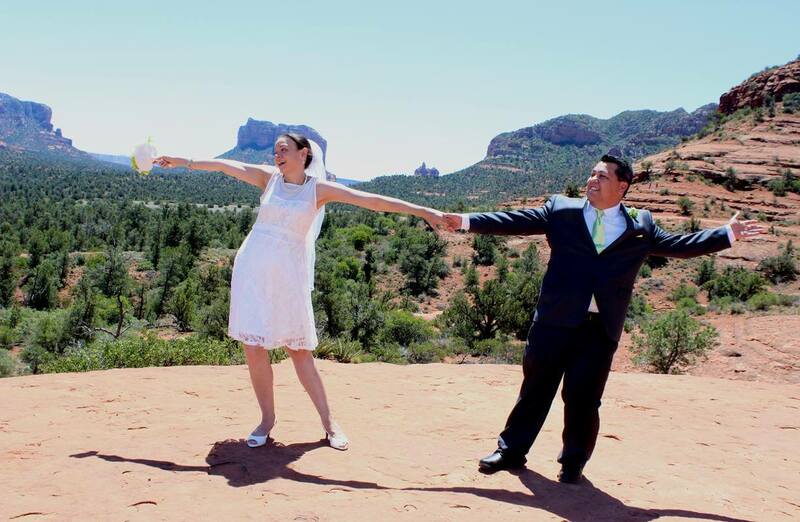 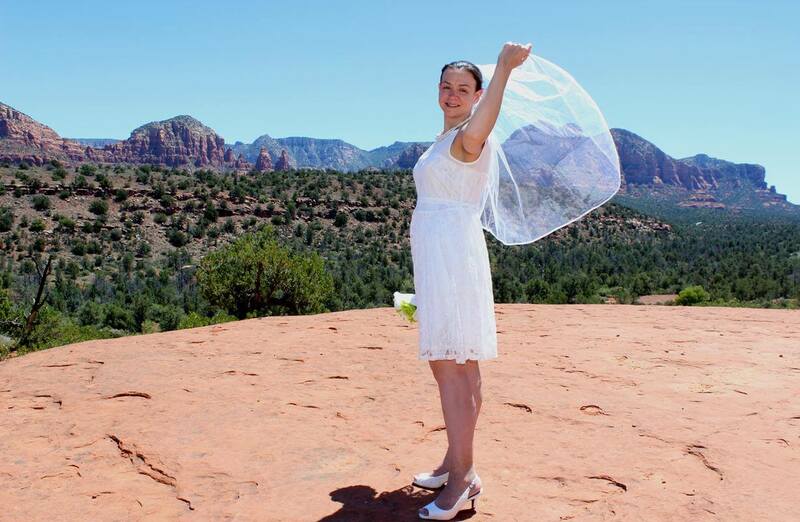 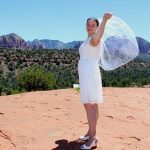 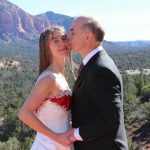 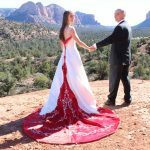 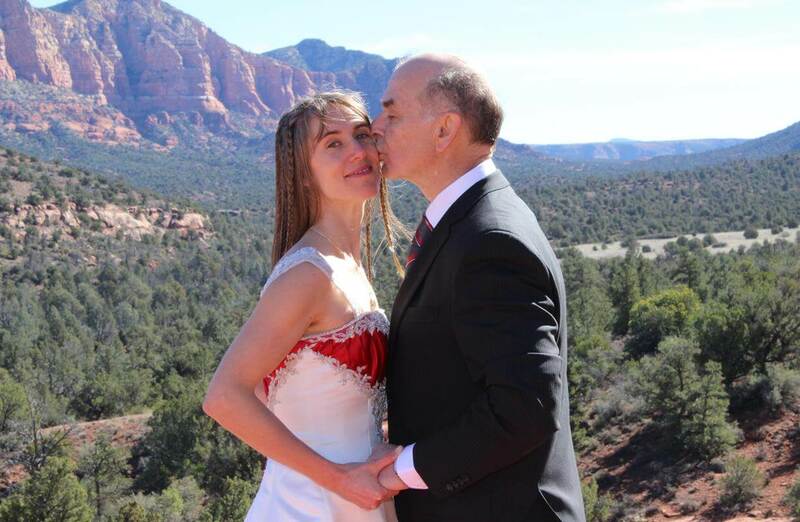 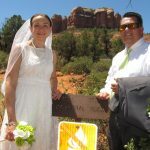 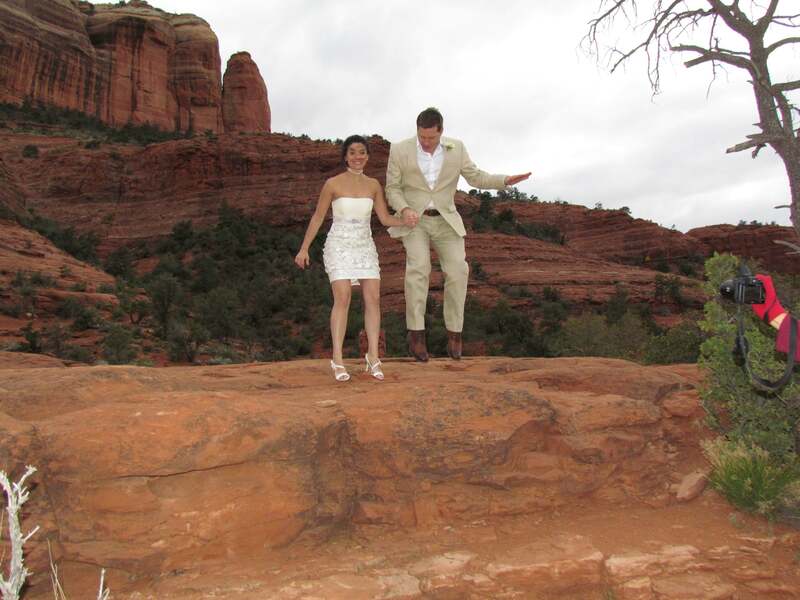 It’s one of the reasons Sedona is a great destination wedding location. 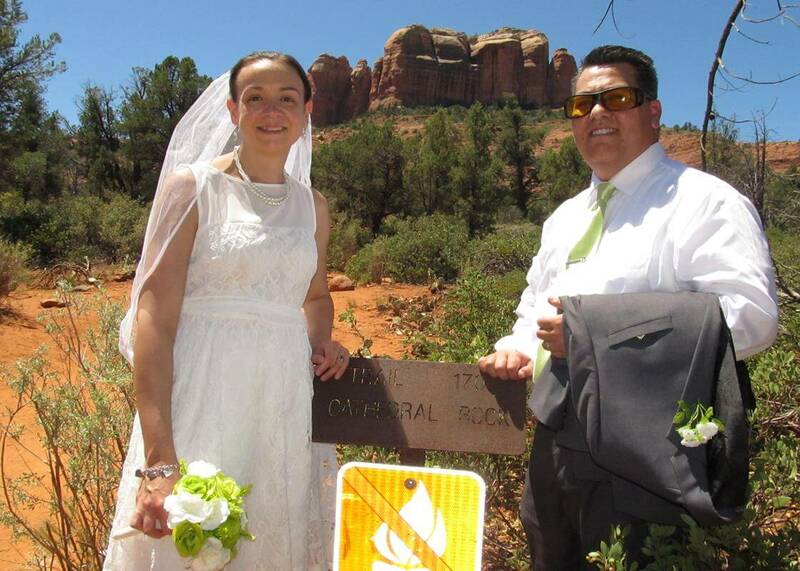 Parking is limited. 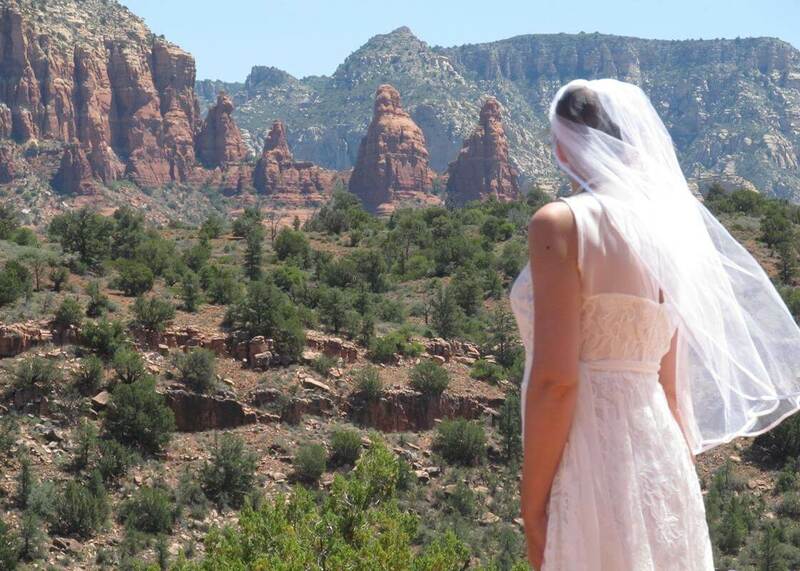 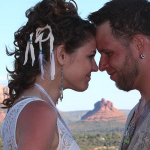 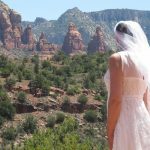 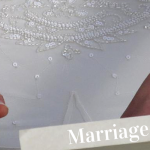 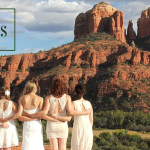 See all our Sedona wedding venues here.